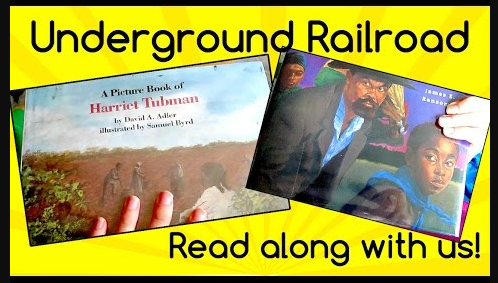 The Underground Railroad was the route that slaves traveled from the southern United States through to freedom in the northern states and Canada. The first book is A Picture Book of Harriet Tubman, by David A. Adler, illustrated by Samuel Byrd. It's a biography giving the life story of this famous conductor of the Underground Railroad, a Moses to her people. We didn't read the whole book, but it's well worth a read, particularly for history buffs and any elementary school students studying the United States Civil War. 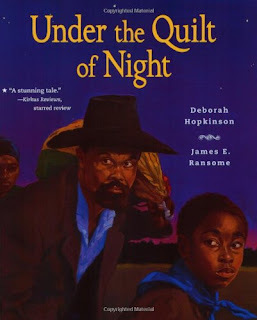 The next book we read in full: Under the Quilt of Night, written by Deborah Hopkinson and illustrated by James E. Ransome. It's an imagined story following one girl's daring escape on the Underground Railroad, guided by friendly stars, a coded quilt, and helpful conductors. It's written like a lyrical poem and is a beautiful read! 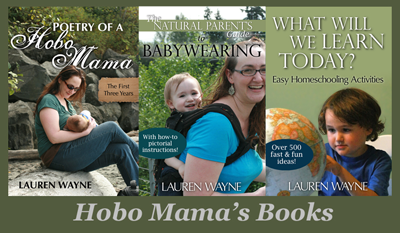 Visit the author's site for Deborah Hopkinson. I don't have one for David Adler, but fun fact: He wrote the Cam Jansen mystery books.